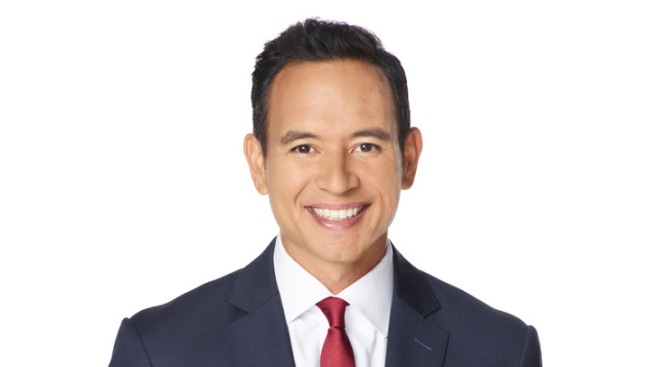 Award-winning journalist Adrian Arambulo is co-anchor of the NBC4 morning newscast "Today in LA," airing weekdays from 4:00 to 7:00 a.m. Since 2013, Arambulo has co-anchored the station's weekend newscasts and reported breaking news during the week. He has covered a variety of stories, including the “Old Fire” in Calabasas and the aftermath of the San Bernardino terror attack in 2015. He also reported extensively on the deadly shooting spree near a college campus in Santa Barbara and the 5.1 magnitude earthquake in La Habra. He reported on Hurricane Ike, the Fort Hood shooting massacre, the murder of Navy SEAL sniper Chris Kyle, and the aftermath of a massive fertilizer plant explosion in West, Texas. Arambulo also enjoys reporting on human interest stories at NBC4, including being the first reporter to hike up to a mountain vista in the Santa Monica Mountains where he discovered a mystery piano placed there for a music video. Prior to joining NBC4, Arambulo spent six years at KDFW-TV in Dallas-Fort Worth where he served as a weekend morning anchor and reporter. He was also a general assignment reporter and fill-in anchor for KLAS in Las Vegas, and served as bureau chief for KGBT in Brownsville, Texas. He is active in the community, including hosting the City of Bellflower’s BRAVO awards and participating in the Golden Dragon Parade in Chinatown, Comcast Cares Day volunteer initiative, and NBC4’s Clear the Shelters adoption drive. Arambulo has been recognized with a number of awards, including a Golden Mike from the Radio, Television and News Association, several Emmy Awards in the Los Angeles, Dallas and Las Vegas markets, and two Las Vegas Electronic Media Awards. He has also been honored by the Texas Associated Press, U.S. Marshals and Visiting Nurses Association. Born and raised in Chicago, Arambulo graduated with honors from Loyola University Chicago, where he wrote for the school newspaper and served as anchor and news director for the school's radio station. He is still a die-hard sports fan, loves traveling, playing golf and spending time with his Southern California family. Follow Adrian on social media @AdrianNBCLA.